Beautiful setting on an operating cattle ranch South of Twin Bridges. Check out the next hot spot for Montana fly fishing... nearby rivers include the Big Hole, Beaverhead, Ruby, Jefferson and Madison rivers! 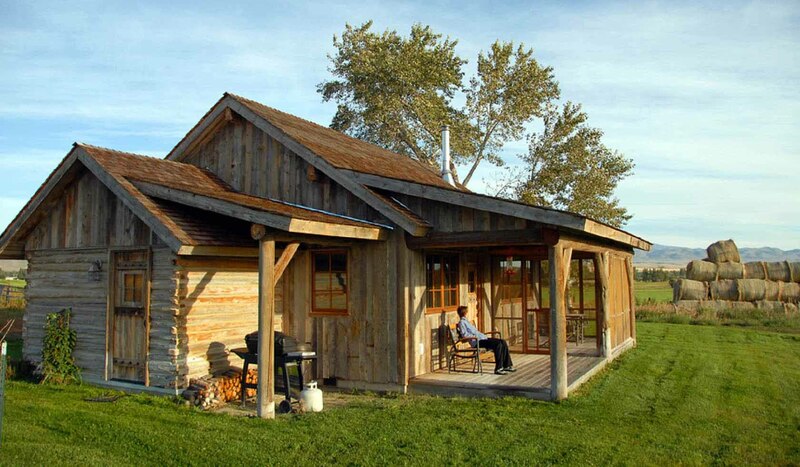 Brief Description: This restored ranch cabin has a rustic, western feel, yet has top quality amenities and furnishings. Located on an operating cattle ranch South of Twin Bridges, within a short drive of great fishing, hiking, canoeing, horseback riding and more. General location: The cabin is ten minutes South of Twin Bridges and about twenty minutes North of Dillon. Butte's airport is less than an hour away and Bozeman's Gallatin Field airport is about an hour and a half from the cabin. Bedrooms and baths: There is one bedroom in the home, with a king size bed. This bed can also be set up as two twin beds. High quality linens, pillows and blankets make it hard to get up in the morning! There is additional sleeping space on a sleeper sofa in the living room. The cabin has one full bathroom with a tub shower combination and can accommodate up to four guests. Kitchen: The kitchen is fully equipped, with high quality appliances including a gas range, dishwasher, coffee maker, microwave oven, blender and all the cookware and serving ware that you need. Dining room: The dining room table seats four to six comfortably, in case you have a few guests over for dinner! Living room: The comfortable living room has beautiful views, doors that open to the deck, and a woodstove for warming up on a chilly evening. There is a TV with DVD player but not satellite service. Setting, acreage, views: The home sits at the Western edge of a large ranch property. Ranching activities on the land surrounding the cabin could include haying, branding calves, moving cattle from one pasture to another.....real Montana! From the front porch of the cabin, the views of the Ruby Mountains are just fabulous! Outdoor amenities: Guests will find plenty of outdoor furniture on the porch and a gas grill for barbecues. Activities nearby: Enjoy hiking in the Ruby Mountains, fishing on the Big Hole, Beaverhead, Ruby, Madison and Jefferson Rivers. Check out the nearby "ghost towns" of the gold rush era in nearby Nevada City and Virginia City. There is even some great theater performances to catch! There's so much to do!